Our goal is to help young men learn life and leadership skills while participating in and enjoying indoor/outdoor activities and community projects. Since 1947, Troop 323 has proudly served the Baldwin / Whitehall communities in the South Hills of Pittsburgh, Pennsylvania. 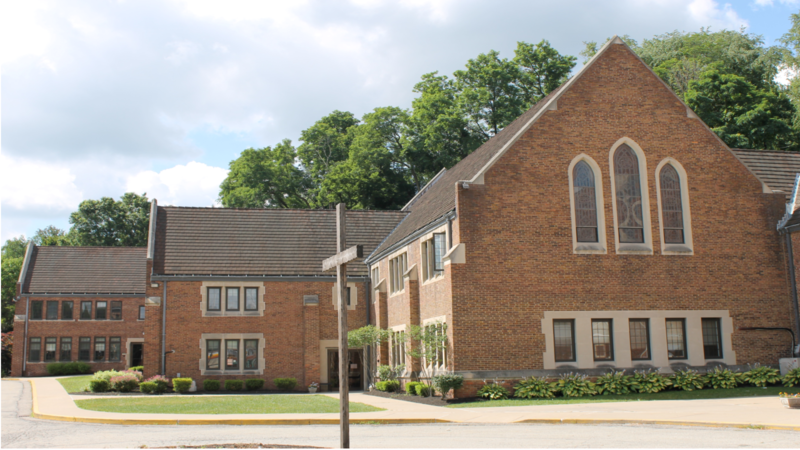 Weekly meetings are held on Wednesday evenings, 7:30 PM – 9:00 PM at our sponsor organization, the Baldwin Community United Methodist Church. Scout Troop 323 strives to build character and integrity through respect, trust, and leadership. This is achieved by teaching scouts how to set and reach goals, as well as participating in continuous outings dedicated to building character and learning valuable life skills. Scout Troop 323 is a very active, scout driven organization. Our scouts have leadership roles and are organized in a patrol based structure within the troop. This gives scouts many opportunities to take on leadership roles at a level they are comfortable with. Our adult leaders serve in a supervisory role, assisting the scouts in their leadership positions within Troop 323. Since we are a scout driven organization, our adult leaders encourage the scouts to research new activities and outdoor adventures that they are interested in. The scouts then vote on the activities in which they would like to participate. This allows us to frequently update our long list of activities and outdoor adventures. In addition to our monthly camping trips, our troop regularly engages in adventure excursions to Florida Sea Base, Philmont Scout Ranch in New Mexico, Bechtel Summit Reserve in West Virginia, Heritage Reservation, Laurel Highlands, Appalachian trails and many others. Our local outdoor activities and trips include fishing, camping, rock climbing, repelling, hiking, rafting, mountain biking, sporting events like baseball, football, hockey and much more. Our leadership team and committee is made up of volunteer parents just like you. We appreciate your interest and look forward to answering your questions. For more information, please visit our ‘about us’ page and feel free to explore the rest of our troop website. 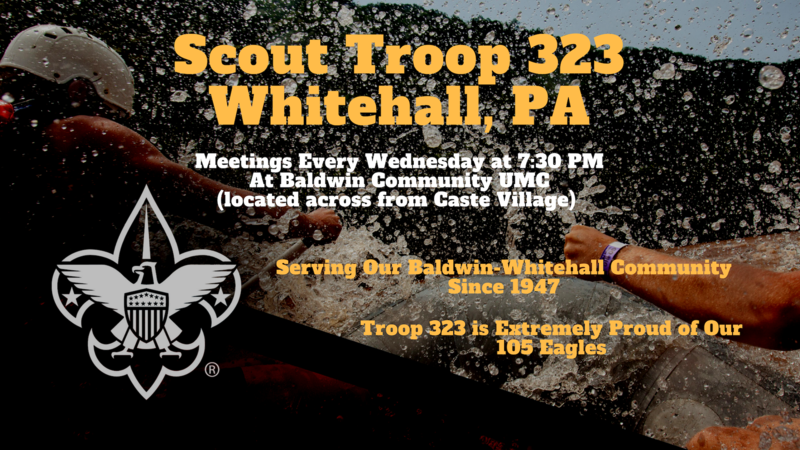 Looking for upcoming Troop 323 Baldwin Whitehall Events? Check out our 2019 Troop 323 Events Calendar here. We update our events calendar weekly. It’s Easy To Find Us! Our volunteer leadership team is available to answer your questions. At some point, we were all new to scouting. So we understand that you have questions. We’re here to help. Feel free to call, complete this brief online form, or check out our Facebook page and contact us through Messenger. We do our best to make contacting us as easy as possible.